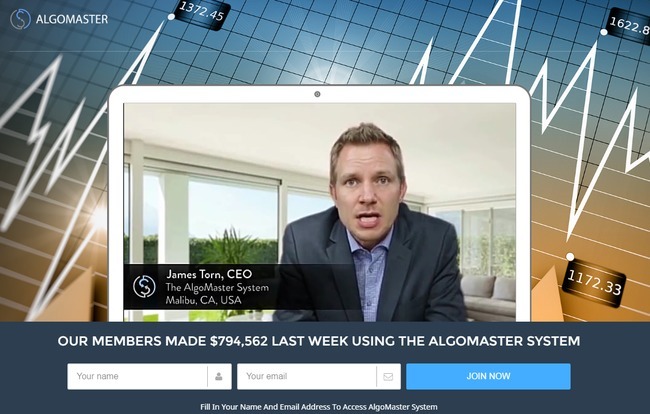 AlgoMaster System Review - A Scam That Costs You $250! Just 2 days ago, I had a few readers who alerted me of AlgoMaster System scam when they realized their trading profits are not as promised. In fact, the software decimated their trading accounts within 24 hours. If you haven’t funded your account, please don’t. Take a few minutes to read this full AlgoMaster review and you’ll save yourself a couple hundred dollars. I have reviewed more than a hundred binary trading software scams, and AlgoMaster System just turned out to be a generic binary trading scam. James Torn, the alleged CEO of AlgoMaster System puts up the usual promises of “free profits” and “guaranteed winning trades” to lure inexperienced internet users into the scam. Well, to answer his question, there hasn’t been any legitimate binary trading software since I started reviewing them about 1 year ago. Every binary auto-trader has lost money for the users, so don’t even bother about signing up for one. In fact, trading binary options is so risky that Forbes warned us not to gamble on binary options. With that out of the way, let’s look at some evidence that can help you sniff out scams like AlgoMaster without having to sign up for it. Below the sales video, we can see a few member testimonials that gave very good reviews for AlgoMaster system. Below the testimonials we can find the names and profile pictures (screenshot above). As usual, I do a background check for every member profile to make sure they are the real deal. Unsurprisingly, I’ve found evidence to show that these members do not exist at all. Take a look at the screenshot below and compare it against the profile of Mike F. as shown above. I found this stock photo at a vendor website, where they sell a collection of royalty-free images that can purchased by anyone for advertising purposes. Normally, these photos are purchased and depicted in advertising material. 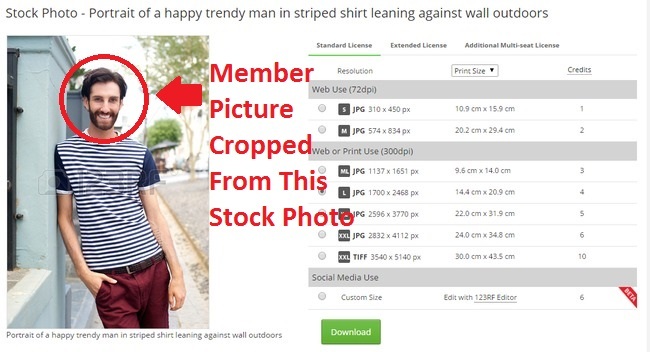 For example, the stock photo above may be purchased by a T-shirt shop owner to be displayed as a poster for T-shirt advertisement. By no means are these photos intended for fabrication of identities. 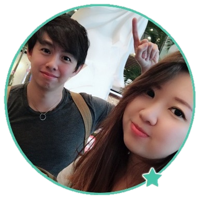 Despite that, the scammers behind AlgoMaster System scam shameless put a name to these pictures and attached fake testimonials to them, pretending that they are members who made money from the scam. These fake testimonials are displayed for the sole purpose of promoting the scam, and to mislead victims into thinking that the software works. In reality, all users who signed up for the software lost all their trading funds within days. It’s a very common marketing tactic that has been used in multiple other scams, such as Pay My Vacation fraud and Dubai Lifestyle App scam. AlgoMaster was profiting even when the market was closed! Anyone who is a regular binary options trader would know that there is no market activity during the weekends, much like how the stock exchange and the Forex market operate. 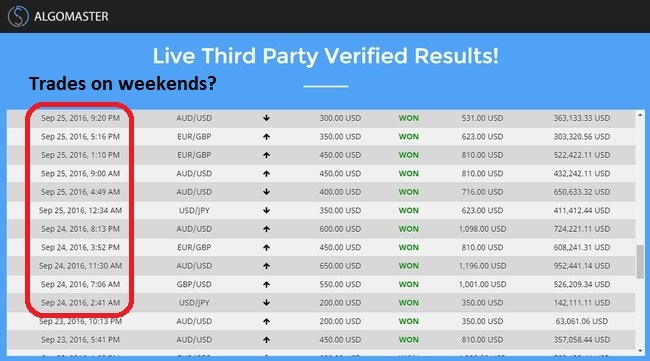 However, a close observation of the “Live Results” table in AlgoMaster website showed that the software was still winning trades on 24 and 25 September 2016, which were obviously SATURDAY and SUNDAY. Did AlgoMaster appear in these publications? I’ve had curious readers who asked me this question: Why are the financial websites endorsing these softwares if they are obviously frauds? The answer is simple – these financial giants didn’t even mention the scam in their publications, much less endorsing the scams. Scams like AlgoMaster went as far as to fabricate fake member profiles and video testimonials, what’s stopping them from generating a few fake quotes from reputable financial sites? Apparently, AlgoMaster has never been featured in any of the websites, unlike what is quoted in the sales material of the scam. If you want conduct your own research and verify my findings, follow these links to the search result pages for these websites: CNBC, Wall Street Journal, and CNN. If you decide to sign up for AlgoMaster system, you will be required to open a new broker account with their partner brokers, which are unregulated by monetary authorities. The losses are pocketed by the broker, which is then shared with its partner-in-crime – the scammers behind AlgoMaster system. 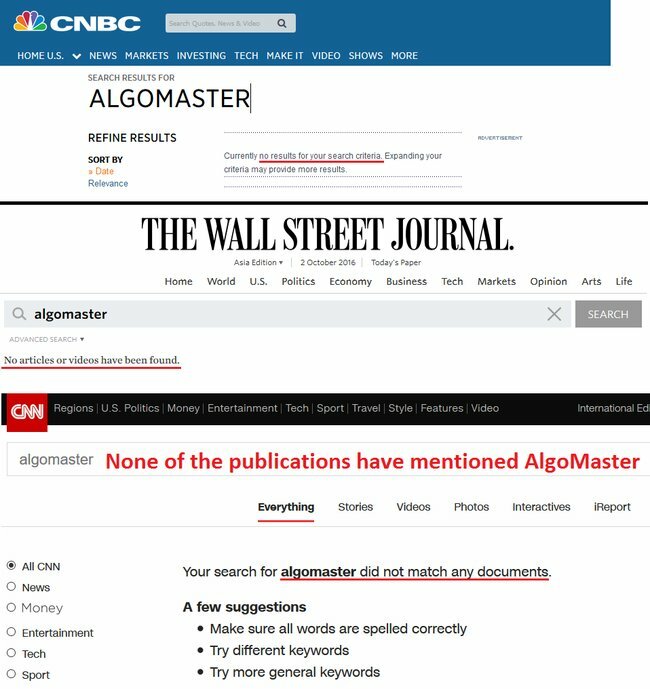 ALGOMASTER IS A SCAM. I strongly advise you to stay away from the scam if you don’t want to lose your hard-earned money. I’m thankful to have come across this review minutes before signing up. Knew it sounds too good to be true but couldn’t tell what’s wrong. Thanks!